As I mentioned before, obtaining LuLaRoe without buying is done through the process of earning. You earn by hosting a LuLaRoe pop-up. 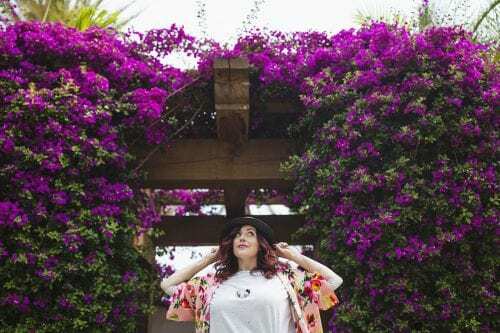 Hosting a LuLaRoe pop-up is the easiest way to earn free LuLaRoe clothing! There are online pop-ups and in-person pop-ups and each will work differently depending on who you are hosting for. Each retailer has their own rewards system so ask for clarification on how and what you’ll earn before you sign up to host a party but each consultant will have different tiers on what you will earn based on the sales from your party. Some retailers will offer to “round up” with sales. For instance, if you sell 13 items, they’ll round up to 15. That means you’d get 1 free item and 1 item at ½ off. Once you have decided to host a pop-up, you want to promote it! After all, the more people buy, the more you earn! This means you need to get organized and start planning your pop-up as soon as possible (but not more than a week or two in advance or people lose interest). Invite as many people as possible. I wouldn’t recommend inviting all of your friends, but don’t single anyone out as the type who wouldn’t like LuLaRoe because there are way more styles than most people realize! LuLaRoe has styles for women, kids, and even men. No pressure. Unlike other MLM companies, LuLaRoe is zero pressure. Make sure your friends know that they won’t have to sit through a sales pitch! Lead up to party day! A few days before the party starts, add some style ideas, hacks (like tying knots in a Carly for a new look), and work on building excitement. **It is a total bonus if you already love the clothes!! Post early, post late. Not everyone will be online at the same time, so it’s a good idea to post reminders late the night before, and early the morning of. Then do a countdown of sorts, reminding guests a few hours before and an hour before. Give them ample time to get ready to shop. If you know someone was interested and you haven’t seen them post yet, feel free to tag them! If your pop-up is at your home, you’ll want to send out text messages as reminders but don’t be obnoxious about it! Just send one the day before to let everyone know it’s still on. During the sale, it’s important to engage with everyone! Have fun, interact and tag your friends if it’s an online party. Post photos of LuLaRoe clothing styled on you or your friends. Talk about how easy it is to dress it up, dress it down, and everything in between! At an in-person party you will want to make sure you are wearing LuLaRoe head to toe and helping your guests find the items they’re looking for. Giving style tips during your pop-up can help those who are new to the brand understand the value LuLaRoe is delivering. If you can show them four different ways to wear a Carly, it’s a little easier to justify the price to those who are a little skeptical. Have your style tips and photos ready before the party starts because things move quickly! If the party is movin’ and groovin’ there’s no need to interrupt the flow by posting the styles and hacks but they are a good way to get things moving if they’re a bit stale. Once the sale is over, you don’t have to close your group or delete the event! Start gearing up for the next event, even if you don’t have one planned yet. Shoppers want to make sure they’re well taken care of, so offer a follow up PM to those who made purchases. If you have friends that didn’t purchase, consider asking them if there were sizes and styles they were looking for that they didn’t see; or ask if there’s anything you can keep an eye out for in case they wanted it. Also make sure you follow up with the person you were hosting the pop up for. They will be busy invoicing, but it’s also important that they send your goodies! If it’s your first time hosting a pop-up with this LuLaRoe retailer, you might want to keep track of the sales as they go so you can count your rewards, too. Keeping track on your own is just an extra step you can take to make things work out smoothly when it’s time to get your free items. Finding a LuLaRoe retailer, or retailer, to host a pop-up for is the easiest thing in the world! Simply make a post on your Facebook profile saying something like “Looking for a LuLaRoe retailer to host a pop-up with!”. I guarantee you will get more responses than you can handle! Another great tip – if you already love a particular LuLaRoe retailer that you shop with frequently, ask if you can host a party for them. I am sure they would be delighted too! Just make sure you know the expectations and requirements to host a party to help make it a success for both you, and the retailer! Happy Pop-up! Want a host a pop-up with me? Contact me at bbktboutique@gmail.com. Please include in the subject line “Pop-up Host” so I can get in touch with you to schedule your party! You can also join our LuLaRoe Facebook Group Here.